A new tour on our offer. The tour offers a unique insight into local arts and crafts - glass painting, wood carving, sheep breeding and cheese making. In the village of Witów we visit a local smoke house, where we find out how traditional local sheep cheese is being made. In the village of Chochołów we visit a local wood carver at work, and in Zakopane a glass painting gallery. The tour programme can be adjusted to particular needs and requests. 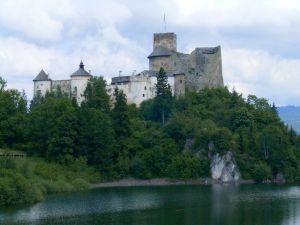 This is half a day trip that visits some of the most important places and sights of Zakopane and its vicinity and offers an excellent insight into the local history and present. The tour includes - scenic drive to Głodówka and Cyrhla for breathtaking views over the high peaks of rocky Tatras and rolling hills of Gubałówka and Furmanowa, visit to Jaszczurówka chapel, the finest example of local Zakopane style, visit to complex of ski jumping hills, visit to Fatima Sanctuary, visit to cheese smoke house in the village of Witów, visit to Chochołów village (15 km West of Zakopane) - best preserved local village with traditional wooden cottages of 150-200 years, also visiting a workshop of a well known local wood carver and his museum of traditional housing. After return to Zakopane walk in Kościeliska street (the oldest part of Zakopane with traditional housing, the Old Church, Old Cemetery and Willa Koliba - first house ever built in local Zakopane style ), then visit to local market and an optional funicular ride to Gubałówka hill for more views of the town and the surrounding mountains. 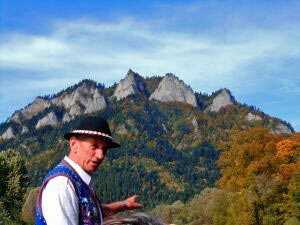 This is a full day trip to the Pieniny Mountains, some 50 km from Zakopane that visits some of the most popular attractions of the local area with relaxing rafting trip down the Dunajec river. The tour includes - an hour's drive in the Podhale and Spisz regions to the village of Niedzica, situated on the former Polish Hungarian border, where we offer tea/coffee break or / and sightseeing tour of the 14th century Hungarian castle, as well as a walk to the dam on the river, transfer to Sromowce village where the rafting trip itself starts - this is perfectly safe and leisure activity for everyone that takes place on traditional wooden rafts that have been in operation in the area for centuries and were originally used for transportation of goods and people, these take 12 people at a time and there are always two boatmen travelling down the river with you, rafting takes approximately 2 hours (depending on the water level) and covers the distance of 18 km along the Polish Slovakian border to finally arrive at the former spa of Szczawnica, free time for lunch and shopping, return to Zakopane. This is a full day trip visiting the former Nazi concentration camp of Auschwitz. 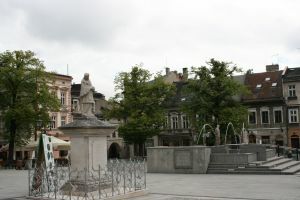 We set off from Zakopane, and after 2,5-3 hours' drive we arrive to the town of Oświęcim. The guided tour of the Auschwitz part of the camp takes two hours, and starts with a film on camp liberation. There is a short, 15 minutes' break before we continue to Birkenau for another 45 minutes' sightseeing tour. 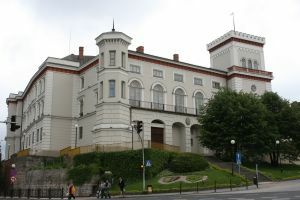 This is a full day trip to the royal city of Kraków, capital of Poland for over 600 years right until 1611, cultural centre of the Małopolska region. Journey to Kraków takes 2 hours on average. We start our two hours' guided tour with a visit to former Jewish Quarter of Kazimierz, we then visit Wawel Castle Hill and the Cathedral - former coronation and burial site of Polish Royalties, Jagiellonian University - the oldest Polish University (second one in Europe after Pargue) established in 1364, Old Market Square with St. Mary's Church and its famous Weit Stoss wooden Gothic altar, shoppers' paradise in historic Cloth Hall. There is free time for lunch and shopping in the afternoon. 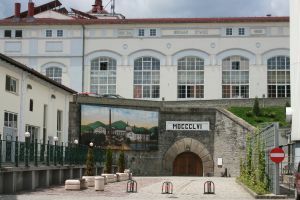 The tour can be combined with a visit to Wieliczka Salt Mines. This is a full day trip to Wieliczka (12 km East of Kraków) with UNESCO World Heritage listed, world wide known salt mines available to tourists thanks to excellent infrastructure of lifts, stairs and corridors, with dozens of chambers and chapels carved out in salt and decorated with hand made sculptures and figurines. Guided tour takes three hours and covers the distance of 3,5 km at the depth between 64 to 135 metres below the ground level. Lift available only on the way up. There is free time in the underground restaurant and shopping centre after the sightseeing tour is over. This can be combined with Kraków sightseeing. 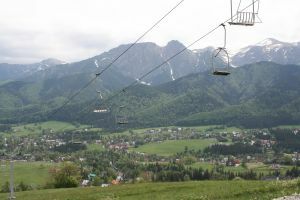 Cable car to Mount Kasprowy is one of the most popular attractions of Zakopane. 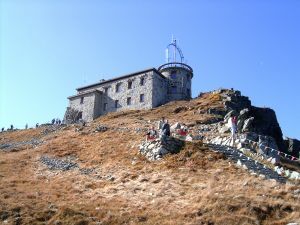 Constructed in 1930's, thoroughly renovated two years ago offers a convenient way of getting 2000 metres asl in less then half an hour. Mount Kasprowy offers spectacular views over some of the highest rocky peaks of the Tatras. There a few options for those willing to test their hiking abilities. Yellow trail takes us to Gąsienicowa, one of the most popular glades with a beathtaking Czarny Staw lake. Otherwise we go West towards Kondratowa and Kalatówki. 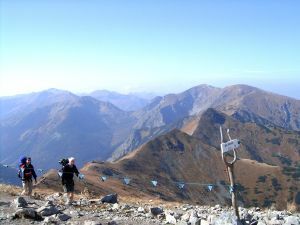 Both hikes take us to Kuźnice, Southern most district of today's Zakopane, where we arrive after some three hours' hike. 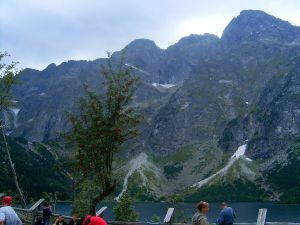 This is a full day trip to Morskie Oko lake, one of the most popular places in the Tatras. We set off from Zakopane to arrive to Polana Palenica after some 45 minute's drive. We enter Tatra National Park to get to horse carts, which take as all the way up to Włosienica. After 1.5 hour's ride we start our ascent and arrive to Morskie Oko lodge after 30-45 minute's walk. The lake it situated at the altitude of almost 1500 metres asl, at the very foot of Mount Rysy (2499 m asl) the highest peak of Poland, and surrounded with more beautiful rocky peaks. 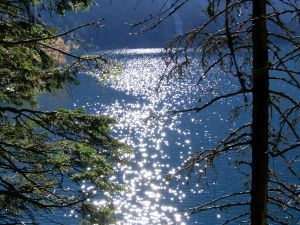 At this point, we recommend a walk round the lake (1 hour's walk), and the fitter ones shall challange for the Czarny Staw pod Rysami lake (another 1 hour's walk). At the end of the hike, and just before return to Włosienica for the horse carts, we visit Morskie Oko lodge for a cup of coffee or tea and an excellent apple pie, bigos (traditional Polish cabbage dish) or naleśniki (pancakes). Kościeliska Valley is one of the most frequently visited places in the Tatras. The valley is situated in the Western part of the Tatras. These are mainly made of lime rock here, with a lot of tiny rivers and streams, crags and rock formations to be admired. Mroźna Cave, on the way up the valley, is the only properly lit cave in the Polish Tatra mountains, thus available to tourists on regular basis. In the season however, waiting time can be long, thus we recommend Mylna cave as an option. There is a mountain lodge offering tea, coffee and excellent apple pie in Ornak, at the end of the valley. The return hike takes some 5-6 hours all in all. The hike starts and finishes in Kiry, part of Kościelisko village, some 8 km away from centre of Zakopane. Next to Kościeliska, Chochołowska is second most frequently visited valley in the Tatra mountains. 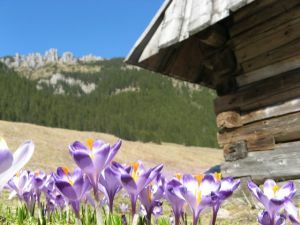 It is most popular in the months od April and May, when it covers up in millions of violet crocusses. We set off from Zakopane to arrive at Siwa Polana after some 20 minute's drive. The walk up the valley takes 2-2.5 hours. 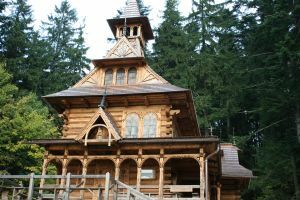 The biggest of all mountain lodges in the Tatras is situated in Polana Chochołowska clearing, at the end of the valley, as well as numerous shepard's shelters. 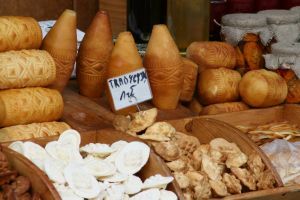 These are protected and of historical interest now, thou one can still meet a lonely Baca (shepard) selling oscypek and bundz (local cheese) and żentyca (sheep sour milk) to hikers. 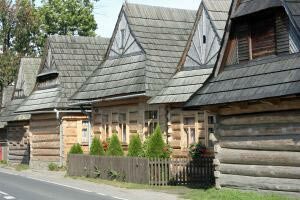 On return to Siwa Polana, we recommend visit to Gazdówka u Zająca or Leśniczówka u Zięby restaurants to taste some of the delicious local cuisine. 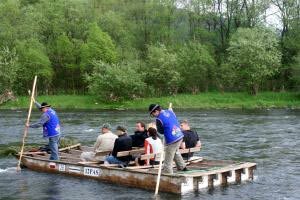 This a few hours' evening entertainment, that can be combined with horse carriage ride in the Chochołowska Valley and/or dinner. It can also be organised independently of those. 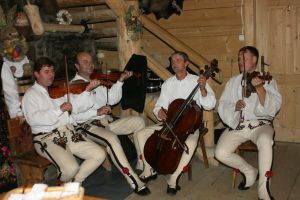 The folk evening takes place in a local restaurant at the very entry to Chochołowska valley. It offers great insight into local folk traditions and customs. 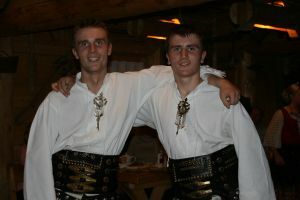 The show present local music and dances, and a fair amount of humorous entertainment presented in a way understandable also to foreigners. If no dinner is offered, drinks and local snacks are included. The evening takes some 4 hours, including half an hour's drive each way.